Coming from a family of teachers, Rita R. Frady didn’t initially want to pursue education. She loved music, particularly piano, and wanted a career in that realm. Her husband suggested she combine the two, so Dr. Frady went back to school and found she loved it. She began as a K-6 music teacher for the Cherokee County Board of Education in 1991 and hasn’t looked back since. After 14 years in that role, Dr. Frady became a music teacher for the Hasty Elementary Fine Arts Academy of the Cherokee County Board of Education in 2005. She continues in that capacity to this day. During this time, she also served as an adjunct professor at Piedmont College. 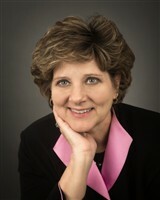 Dr. Frady prepared for her endeavors by earning an EdD in teaching and learning education and an EdS in curriculum and instruction from Piedmont College, a master’s degree in early elementary education from Brenau University, and a Bachelor of Music in piano performance from the University of West Georgia. She attributes her success to ensuring she stays current in her profession by reading forums and articles and taking classes. Thus far, she had furthered her professional standing by earning a conversational solfege certification from John Feierabend, an educational first steps certification, a MIE certification, a P-5 teacher certification, a P-12 music educator certification T-7 from the state of Georgia, and a Microsoft in education certification. She also makes sure she never misses the Georgia Music Educator Conference. To keep in touch with her peers, Dr. Frady joined prominent organizations like the Georgia Association for Educators, the National Association for Music Educators, the National Educators Association, the Feierabend Association for Music Education, Phi Delta Kappa, and Delta Kappa Gamma. She has also been a music and sound coordinator for the Hasty Elementary Fine Arts Academy’s Drama Club since 2013 and a teacher for the Fourth Cohort Cherokee County inTech Redelivery Cherokee County Board of Education since 2003. Previously, she was the secretary and treasurer of the Cherokee Soccer Booster Club, the president and vice president of the Cherokee Basketball Booster Club, and a member of the Quaver Advisory Council of Quaver’s Marvelous World of Music. In recognition of her achievements, Dr. Frady was named Teacher of the Year by Hasty Elementary School in 2010 and by Canton Elementary School in 2004 and 1995. She was also proud to receive the Cherokee County Technology Blazer Award and the Golden Apple Award for Outstanding Educator, and to be featured in Who’s Who in America, Who’s Who in American Education, and Who’s Who of American Women. Looking to the future, she hopes to be remembered as hardworking, a good collaborator, and the best in her field. When Dr. Frady isn’t working, she enjoys taekwondo, reading, and traveling.